Set up the EmergencySMS service on your mobile phone to send your SOS alert directly to the Emergency Services, allowing you to send an SMS text message when you need help. You’ll need to register your mobile phone before using the emergencySMS service. 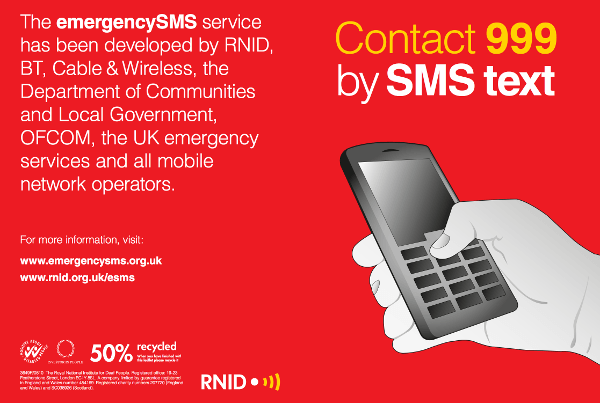 Click here to download the emergencySMS leaflet with instructions on how to register your mobile phone.